Welcome to Vibronics Pvt. Ltd. Manufacturer & Exporter of Ultrasonic Devices. The company was incorporated at Navi Mumbai. Our state-of-the-art infrastructure & stringent quality checks make us unique in the industry. Free trials, innovative approach & smooth delivery process help us to achieve anunrivalled position in the industry. We offer a wide assortment of Ultrasonic Cleaning System, Flaw Detectors & Processors. Ultrasonic Cleaning Systems offered by us are extremely reliable. 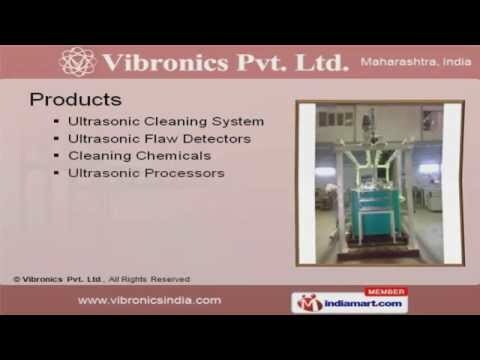 Our Ultrasonic Transducer & Conveyors are well known for their impeccableperformance. We also provide Ultrasonic Flaw Detectors that are a class apart. Along with that we offer Cleaning Chemicals that are available at industry leadingprices. Our Ultrasonic Processors are widely acclaimed in the market.